Hear ye hear ye! All Kings, Queens and Knights are here by summoned to our Camelot Castle Jumper for a fantastic time!. Made of lead free, fire retardant vinyl, this jumper is 14’4″ long x 13’4″ wide x 16′ high and perfect for kids 36″-70″. It also includes an access ramp and child safe mesh. 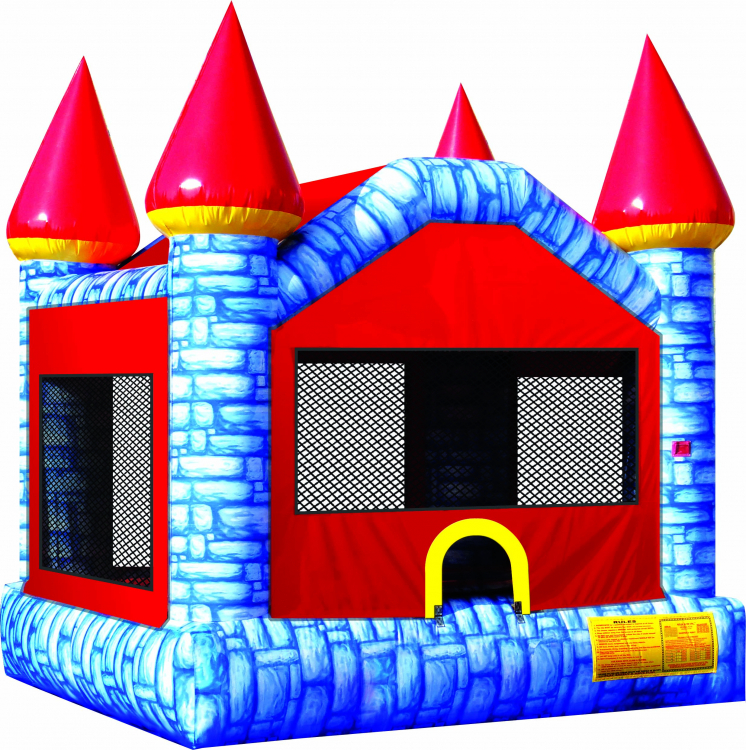 Don’t miss your chance to make this bounce house part of your royal event! Rent your today for just $94! Please add a generator ($45) if your event is in a park.